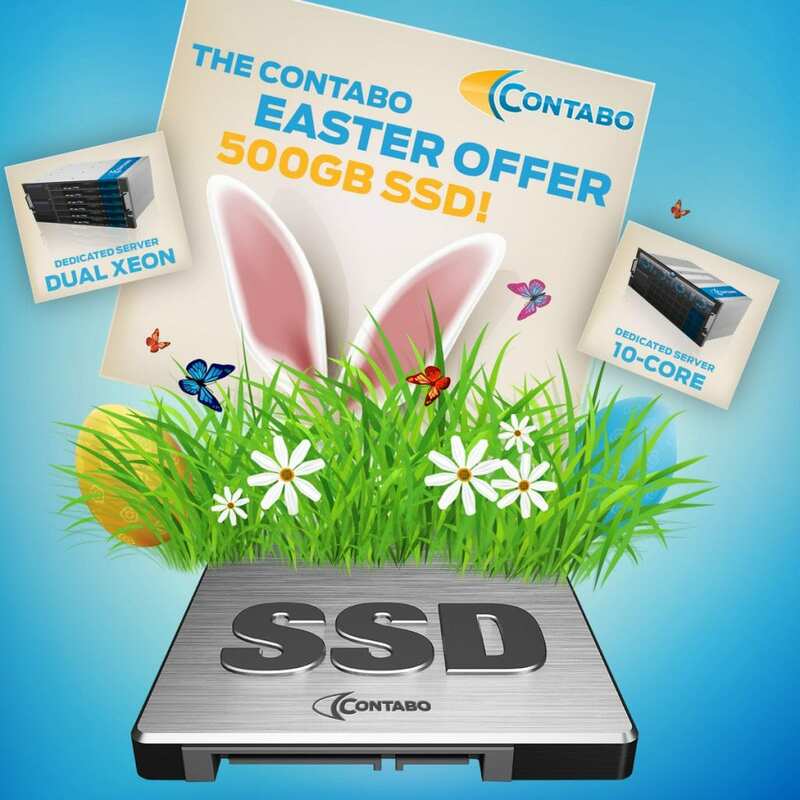 Easter Promotion: 500 GB SSD included free of charge! As of today, you will receive a 500 GB SSD free of charge when ordering a dedicated server Dual Xeon, 10-Core or Dual 10-Core! The offer is available for a short period of time only and while stocks last - our advice: Hurry up! Sounds great? Cool! Then check our dedicated server offers, click on "Customize & Order" below the desired model and get your new dedicated server on time for Easter! Please keep in mind: When opting for a longer contract period, you can get an additional discount of up to one monthly fee of the basic server price. Should you have questions, please do not hesitate to contact our customer support team and we will gladly assist you further. We wish you and your family Happy Easter! Softaculous offers a huge number of scripts which can be installed by the popular „Auto Installer“ under the Plesk and cPanel administration. 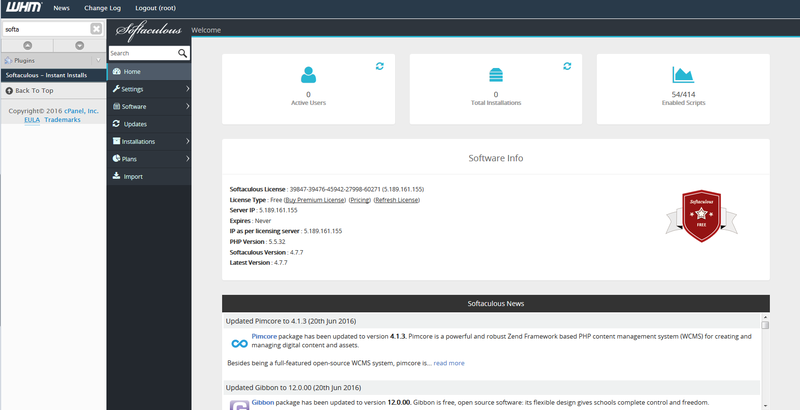 For Plesk you can activate Softaculous only on a Linux operating system. The free version gives you access to more than 50 scripts whereas the fee-based, fully-licensed version offers around 450 scripts. An overview of the supported scripts can be found here. The installation of Softaculous under Plesk can be performed by just a few clicks. Please login to your Plesk Control panel with your root user. 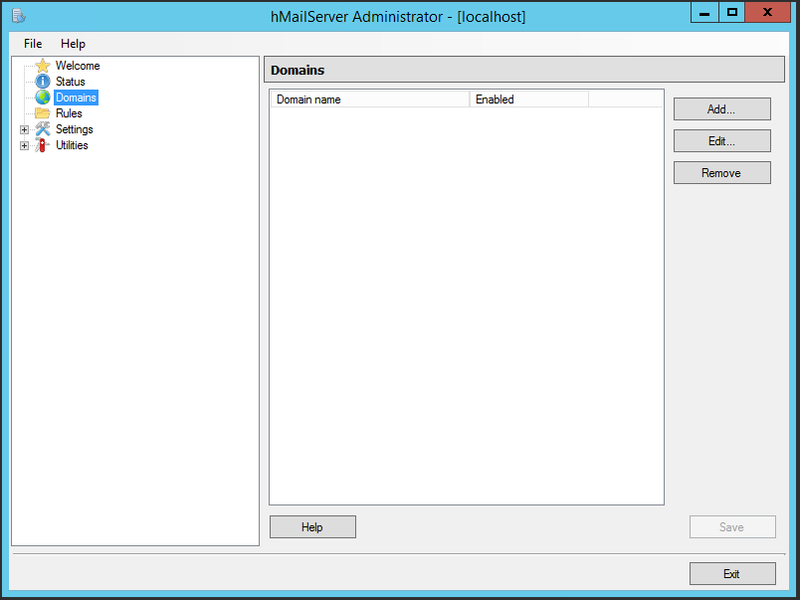 Afterwards go to the "Server Management -> Extensions" page and click on the "Extensions Catalog" tab. Once done you can search for Softaculous and click on the "Install" button. Once you have finished the installation of Softaculous you can find it under the "My Extensions" tab. 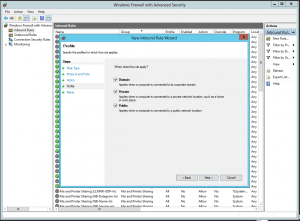 Please take note that the free version of Softaculous is installed per default. In case that you need the full license for Softaculous, you can order it directly in the "My Extensions" tab next to Softaculous under the "Buy" button. 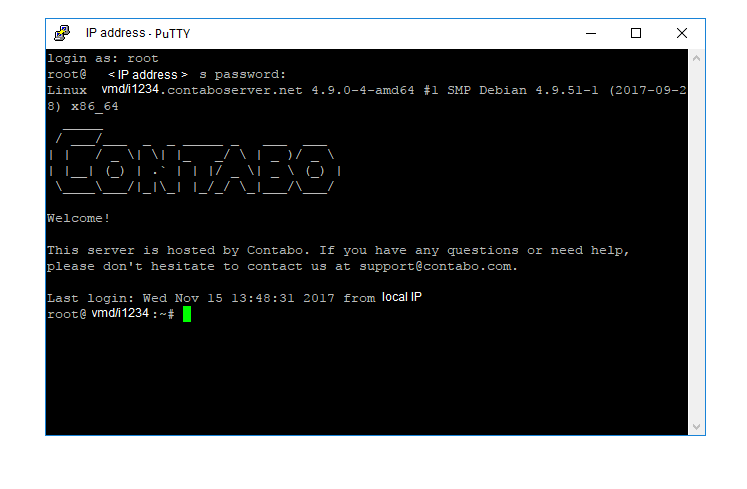 Befor you start with the activation of the ionCube loader, you have to check if this one is not already installed and enabled on your server. 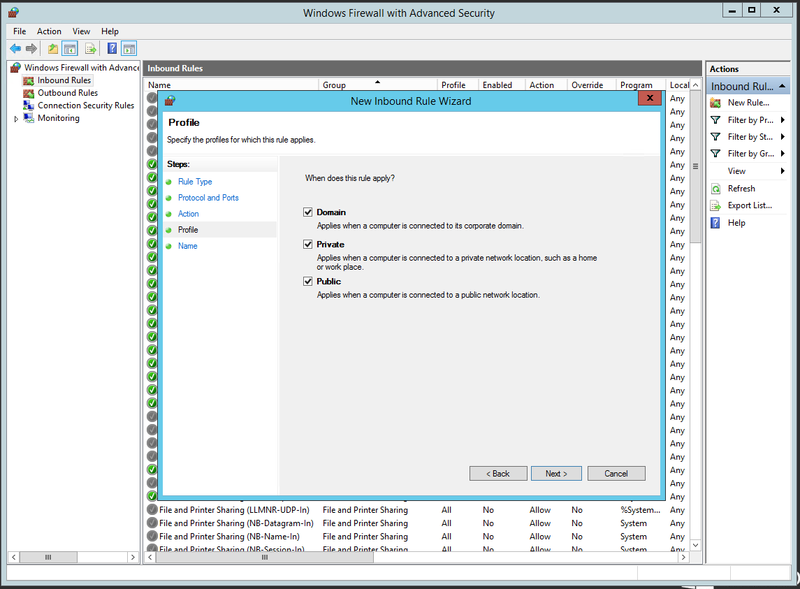 Once the commands are executed the installer will start with the installation process of Softacoulous. During the installation scripts will be downloaded and the download activity will be shown on the screen. 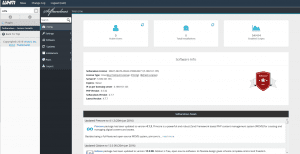 Afterwards you can select Softaculous in your Plesk administration. * Click on „Save“ button. * That's it. 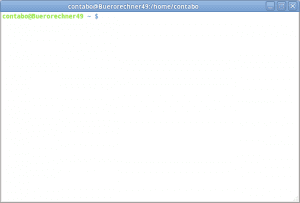 This will enable ionCube for you in 3rd party PHP binary. There you can purchase the fully licensed version, if required. 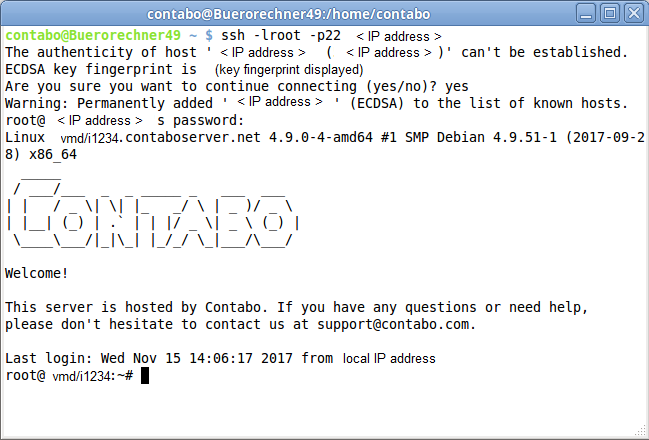 Once again, we have great news from inside Contabo: This year, too, the well-known German IT magazine CHIP and the research institution Statista have tested the hotlines of German providers during the past months. After more than 8.900 test calls the best hotlines for new customers were determined among 147 companies from 12 industries. We finished second among the 15 tested hosting providers, with a total of 96.7 points – 0.1 points behind the first place (96.8 points). Receiving the A-grade for our hotline the second year in a row is a huge honor for our entire team. At the same time, it is motivation for us to continue to offer you, our valued customers the best support possible in every situation. As always, you can contact us by phone directly via a standard landline number, without any hotline fees, queues or complex menu selection – on 365 days per year. 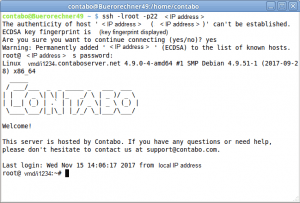 In this tutorial you will find a guide on how to establish a connection via SSH to your Linux server. Please note that you will have to replace the place holder <IP Address> in the complete tutorial with the IP address of your server. In case you are using a Linux operating system on your local machine you will just have to start a terminal. The option -l defines the user which will be connected to. In this case we will use "root". The option -p defines the port which will be used for the connection. 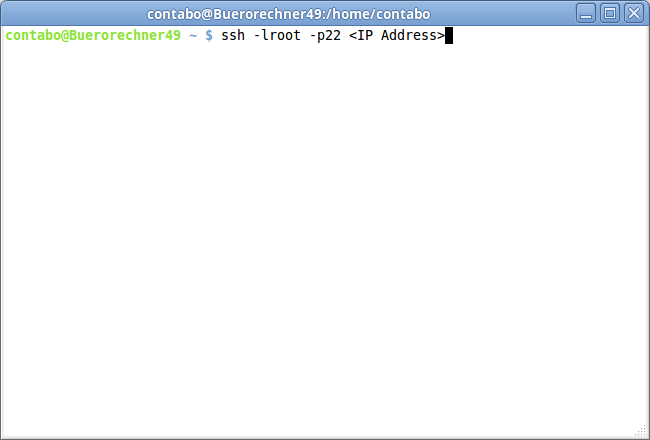 Here we will use the standard SSH port 22. 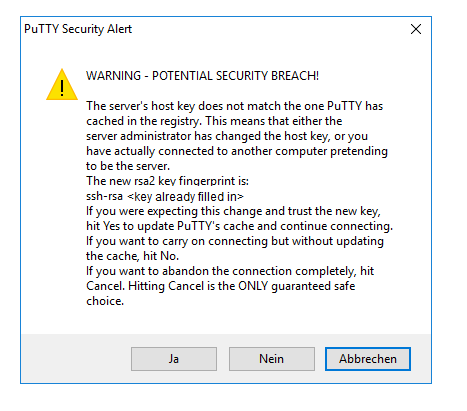 Should this be the first time you connect to the server, you will have to accept its SSH certificate by typing "yes". Please insert your password, which you can find in our e-mail "Your Login Data". Kindly note that SSH will not display any letters or symbols when typing the password. You can also copy and paste your password by using the right mouse key (please make sure not to copy your password with blank characters at the end - you can check so by pasting the password into an empty editor file before using it). The connection has now been established successfully. In case you are using a Windows operating system on your local machine, you will have to install a suitable SSH client first. 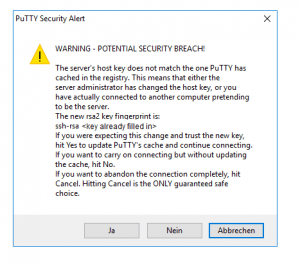 After installing PuTTy, open the client and enter the IP address of your Server. 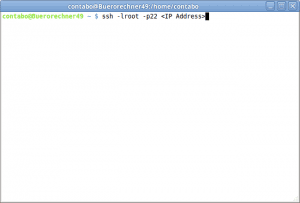 The port, in this case the standard SSH port 22, can be changed as well if needed. Click 'Open' to initiate the connection. You can leave all options to default. Please insert root (login as:) and your password, which you can find in our e-mail "Your Login Data". Kindly note, SSH will not display any letters or symbols when typing the password. You can also copy and paste your password by using the right mouse key (please make sure not to copy your password with blank characters at the end - you can check so by pasting the password into an empty editor file before using it). At the end of April, we have asked you - our existing customers - to answer a few questions about us and our services in a survey within your customer control panel. First of all, we would like to take the chance and thank all of you for the huge participation: Even though the survey was online for just a couple of days, 7.148 customers took part in it - an outstanding number of participants! The survey revealed that 94% of you are very satisfied or satisfied with our services and the recommendation ratio is just as high. We are very happy about that! At the same time, we will work hard in the coming months in order to convince those of you who are not yet fully satisfied with Contabo. We will thoroughly evaluate the results of the survey and consider your suggestions for improvement. After all, it is our company goal to put you, our valued customers, in the center of our attention! Great news: The experts at top10-websitehosting have recently published a review about us. They have thoroughly tested our services and we have had the chance to do a Q&A with them. We are often asked which panel we would recommend. Since there is a variety of different panels with different functions and focus, we cannot easily answer this question. Currently we offer cPanel, Plesk, LAMP und Webmin, which we will introduce here. cPanel is a webhosting panel which allows to administrate a great number of users in an easy way and configure the installed services. In order to avoid security breaches many settings are pretty restrictive, which may cause issues due to the demands of your software. In addition, without plugins from external developers, it would not be possible to use nginx as an example. The software cPanel is divided into two parts, the interface for users is called cPanel, the administration interface WHM (WebHostMananger). LAMP has already been offered since a few years and is not a panel like the other ones already mentioned, it is a software stack which contains (Linux,) Apache, MySQL and PHP; this is the basic software to start with your own web presentation. We already published a tutorial about this called "LAMP made easy". After we had started offering LAMP, we were often asked why it is not possible to select both Webmin and LAMP. Since we always note down your feedback, we started offering both solutions as one package, so that you can start directly with your webpage after we have sent out the login details to you. As you can see, there are different Panels on offer and the decision, which one to choose, also depends on the chosen operating system: cPanel can only be combined with CentOS, whereas Plesk can also be used with Windows Server. By the way: You can test Plesk one month for free (available for our VPS) and get used to the many functions this panel offers! 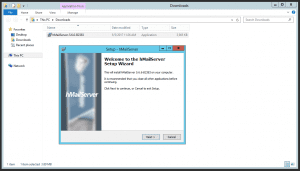 This is a follow-up to the tutorial How to install an e-mail server in Windows, directed to those who already have an hMailserver and want to increase the security. 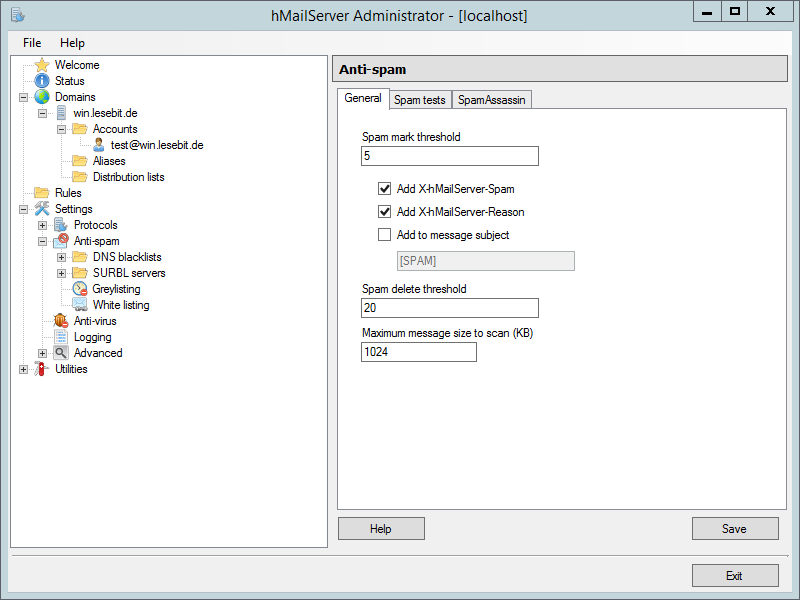 To activate the spam protection, please go to Settings >> Anti-spam in the hMailserver Administrator. In the tab "General" you can leave the settings the way they are, as shown in the image. Of course you can adjust them later according to your needs. Please follow the installation wizard. Installing the browser extension is not required for your e-mail server. Normally ClamWin will now appear in the Windows system tray and start to update its database once a day. It will also protect your system from malware. You are of course free to change those settings individually in the ClamWin menu. 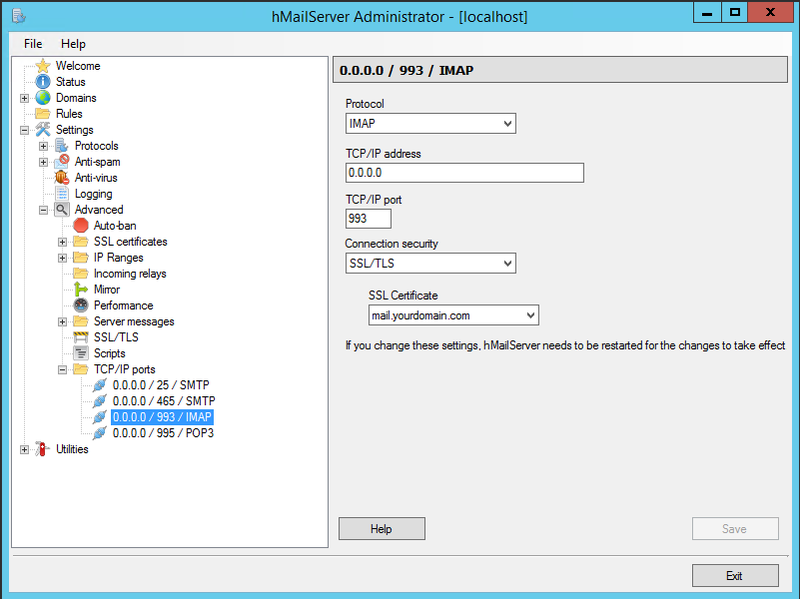 The integration in the hMailServer is easy. Please go to Settings >> Anti-Virus >> ClamWin. The button "autodetect" will find the correct path to your ClamWin anti virus installation and you can finish the setup with "Save". After the software got installed and opened, you have to create a new database on the upper left side. You can choose any name, you do not even have to remember the password. 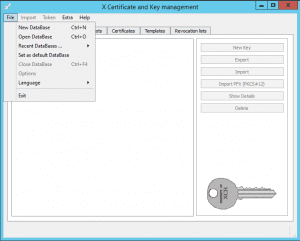 We will need this tool only once to create the new certificate. You can remove it again afterwards. After the new database got created you can choose the tab "Certificates". In the following menu please choose "New Certificate" on the right side. A new window will open. 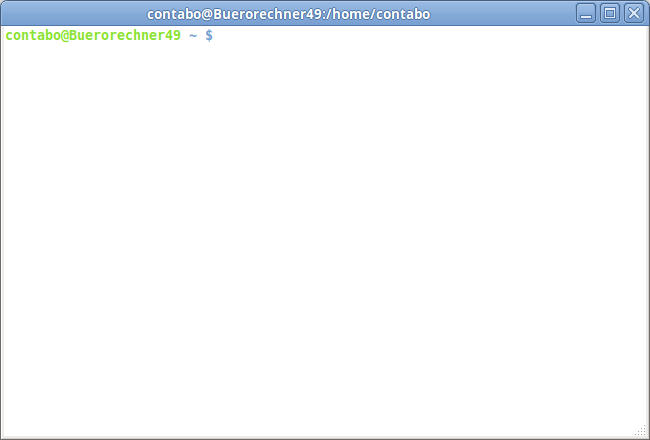 In this new window please choose the tab "Subject" and add your host name next to "commonName". 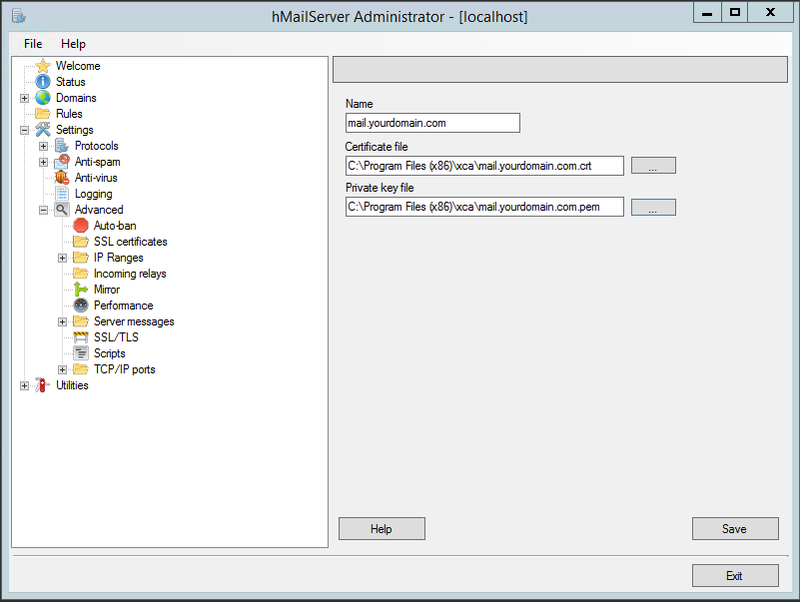 In our example screenshot this is mail.yourdomain.com. 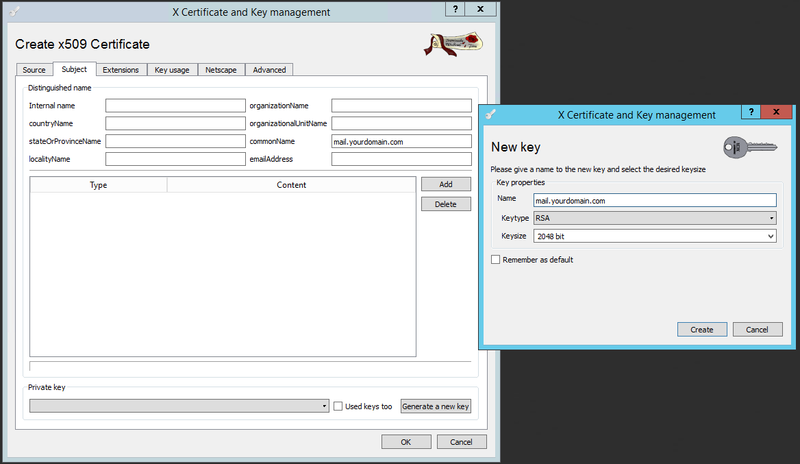 Now please create a key for the certificate by pressing the button "Generate a new key". 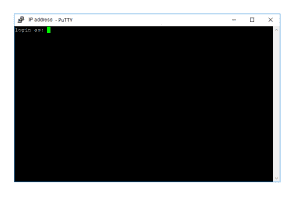 The options in the window normally will be inserted correctly per default as shown in the image. You can finish the creation with "create". The next step is to switch to the tab "Extensions". 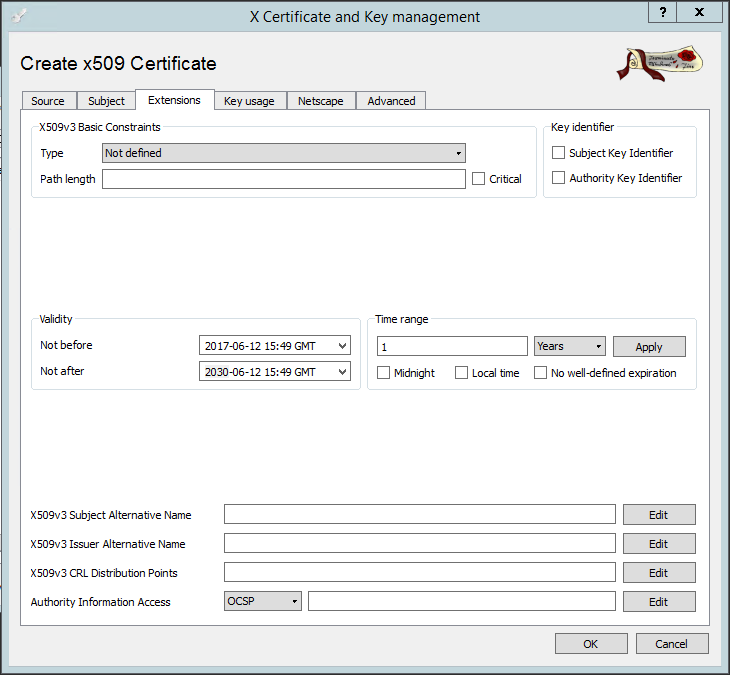 Enter a date until the certificate will be valid. You can be generous at this point. In our example we set a date in the year 2030 for "Validity not after". 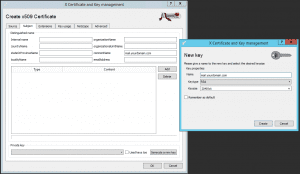 With the "OK" button in the bottom right corner you will finally create the certificate. 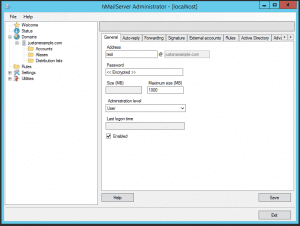 Please open the hMailServer Administrator and navigate to Settings >> Advanved >> SSL certificates and click on "Add". 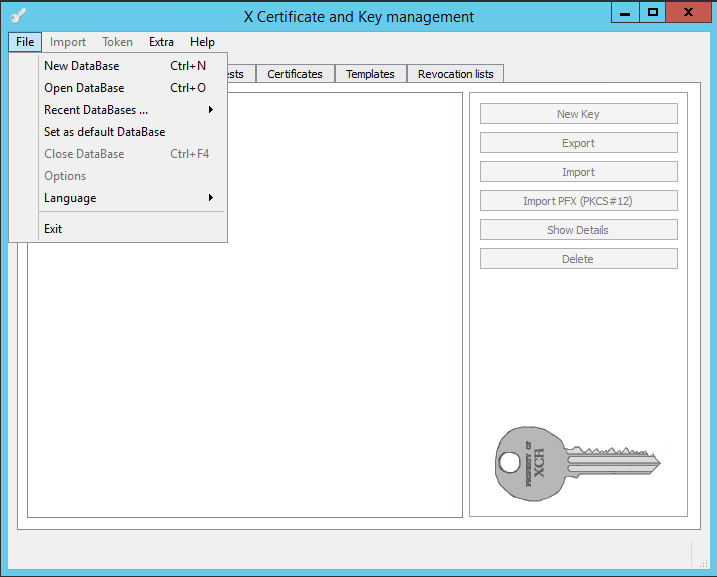 Now you have to add the previously exported certificate and key as shown in the image below and save the settings. For the last step please go to Settings >> Advanced >> TCP/IP ports. 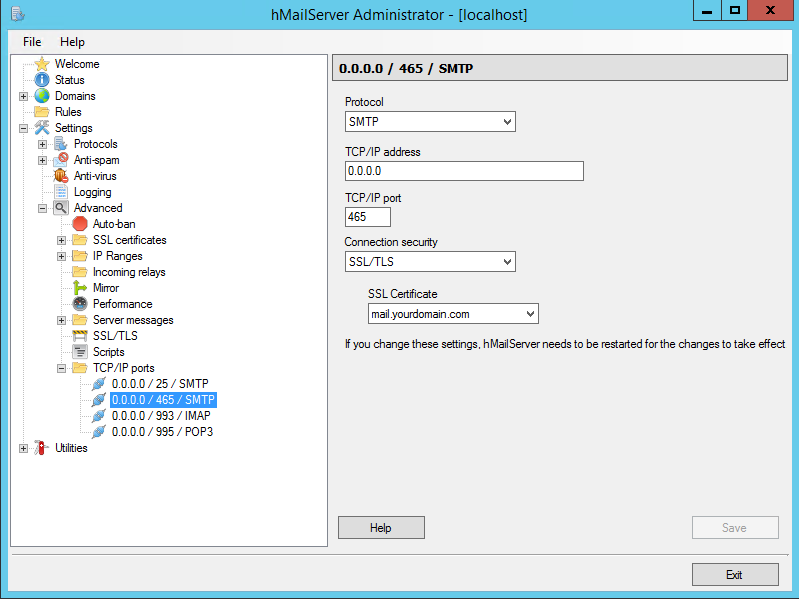 There you have to modify the three entries below "0.0.0.0 / 25 / SMTP" as shown in the following images. At "SSL Certificate", please choose your recently created certificate. "0.0.0.0 / 25 / SMTP" has to stay in its original state as the only one. If you change it, your e-mail server will not work properly! 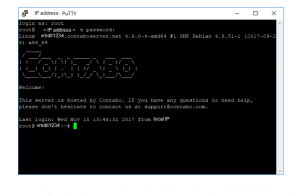 You want to send and receive e-mails with your Windows server and connect to it by using your clients on PC, smartphone or tablet? In this tutorial we will explain how you can setup your own e-mail server on a Windows system with a static public IP. This tutorial will work for our VPS as well as for our dedicated servers. 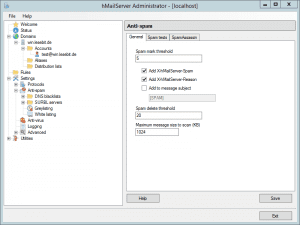 hMailServer is a free open source program, the setup is rather simple and can be done in just a few easy steps. Next to the default features like SMTP, POP3 and IMAP, the software is capable to detect spam and also a free virus protection like ClamWin can be added. hMailServer needs NET Framework 3.5. to run correctly. 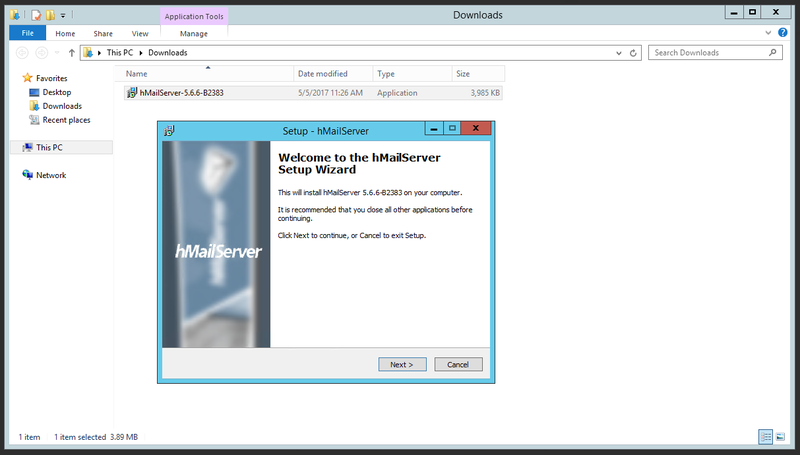 Therefore you should add it to Windows before you install hMailServer. To do so, please open the Server Manager. 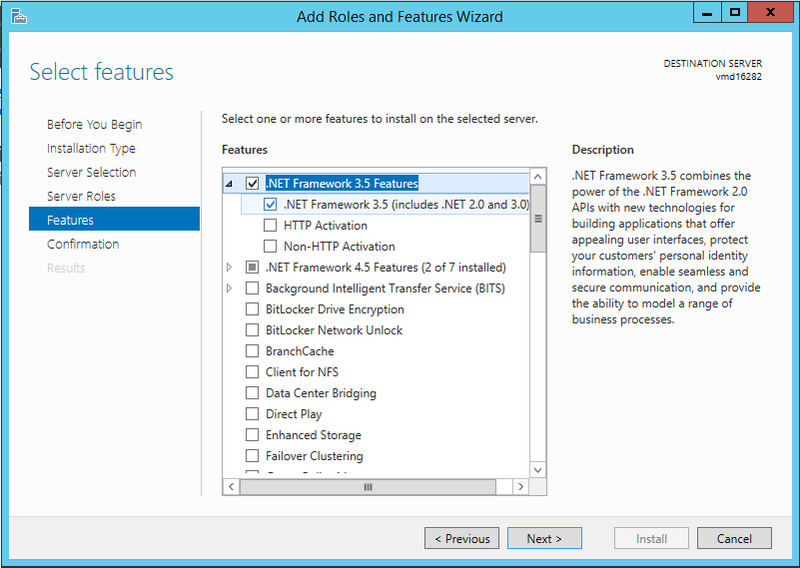 The next steps will differ a little in the different versions of Windows Server. 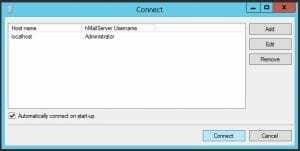 We will explain it by using the example of Windows Server 2012. Please click on "Manage" on the right upper side and choose "Add Features and Roles". In the window that opens you can click four times on "Next" and leave all the settings the way they are. Now you can choose the features you need to install. 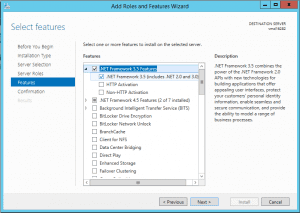 You just have to choose the NET Framework 3.5 like shown in the image. With "Next" again, you confirm this selection and "Install" will start the installation. 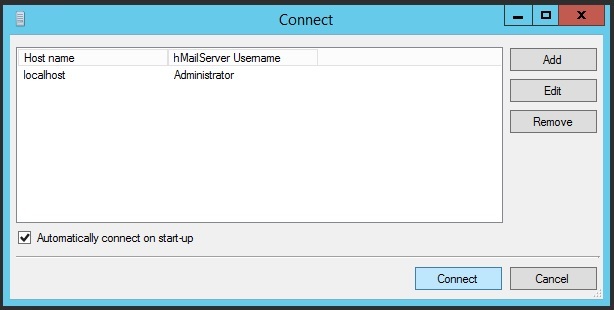 As soon as the process is finished, you can close the window and proceed with the installation of your e-mail server. Please do not choose a version that is still in beta, since it might contain bugs and vulnerabilities. After you received the installation package, you can execute it and accept the terms of service. You should leave the default installation directory as is and continue with "Next". Now you can choose the required products for installation. You will need the full installation, so please let "Server" and "Administrative Tools" checked and proceed with "Next". For an easy installation, we do recommend to choose "Use built-in database engine" in the next step. In the following window let the name be hMailServer and proceed. 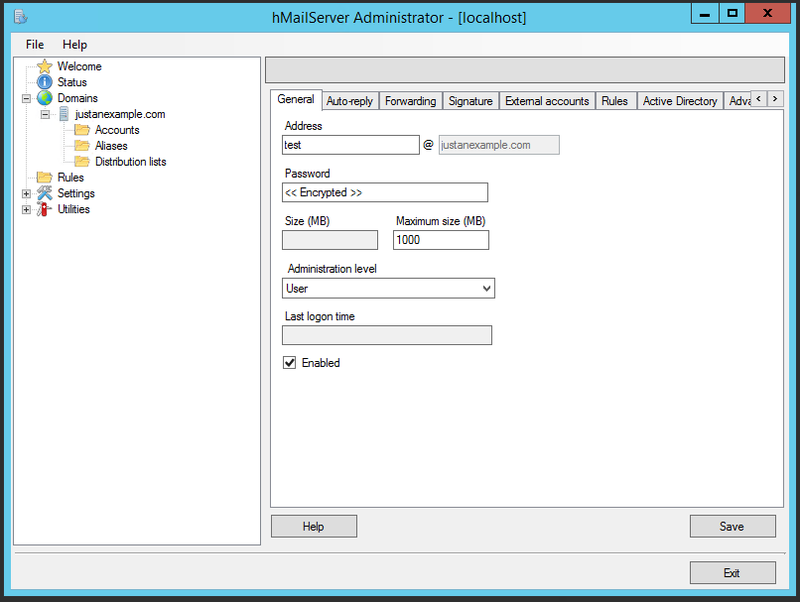 hMailServer will need a password for administrative tasks in the future. So please create a password you want to use to protect your service and write it down. The last step will be to start the installation. It should finish without error. Please open the hMailServer Administrator. In the first window you have to activate "Automatically connect on Start-up" and click on "Connect". In the next window, please go to "Domains", choose "Add..." and insert your domain you want to use for sending e-mails. After the domain got saved, you can add new e-mail addresses in the menu "Accounts". Now please go to Settings >> Protocols >> SMTP >> Delivery of e-mail. 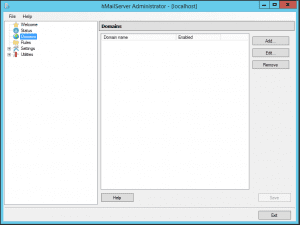 There, please add the local host name of your server that should be used for introducing your server to other e-mail servers. It has to be a valid domain and has to resolve to the IP of your server. So please add an A record to your DNS zone if necessary. 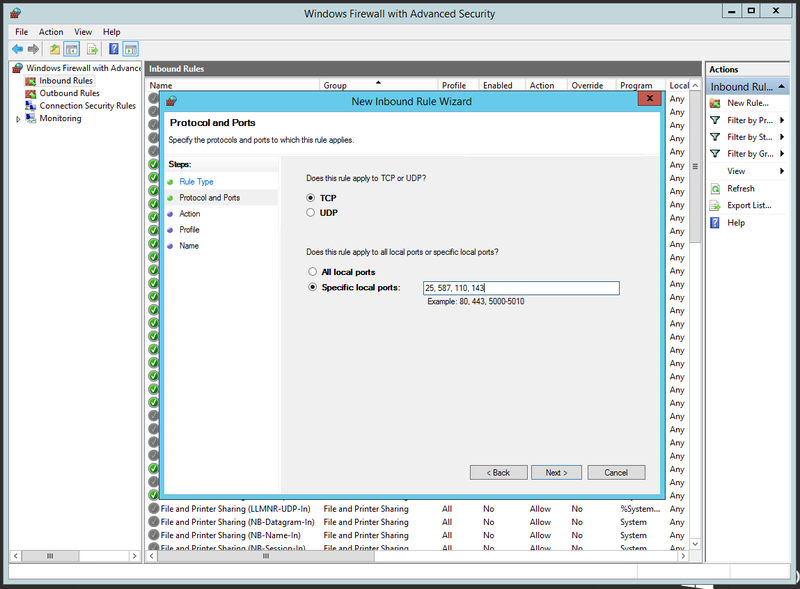 You also should set an identical PTR for the IP address of your server. This can be done in the Contabo customer control panel. The host name should consist of three parts. That means it has to be an FQDN and it may not contain too many numbers, since it might seem to be generic. A good name for example might be: "mail.justanexample.com". When you are done, please save your new settings. The main configuration is done. But you still have to open all used e-mail ports in the firewall to make it work. Please open the Windows Firewall settings and choose "Inbound Rules". On the right side click on "New Rule". 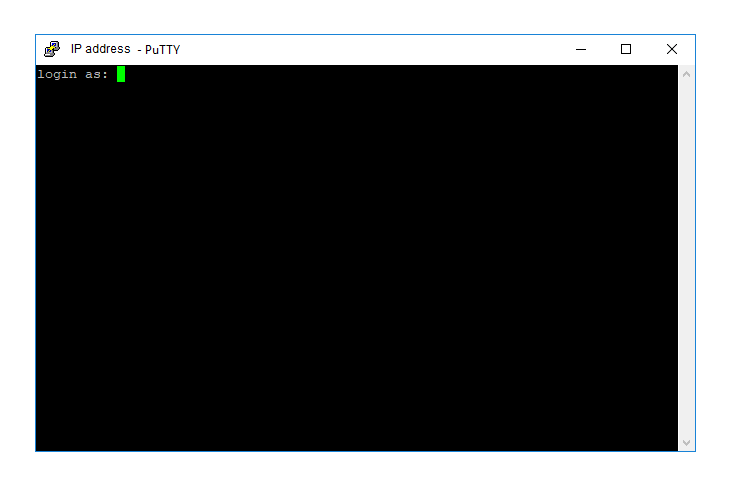 A window will open and you have to choose "Port" and click on "Next". In the next window please insert the ports 25, 110, 143 and 587, as shown in the image. In the following window please choose "Allow The Connection" and after "Next", please check "Domain", "Private" and "Public". In the last window you can enter a name for the new rule. For example "Ports for hMailServer". Please finish the setup and close the firewall settings. justanexample.com 86400 in TXT "v=spf1 ip4:1.2.3.4 ~all"
"justanexample.com" has of course to be replaced with your domain and 1.2.3.4 with your IP. justanexample.com 86400 in MX 10 "mail.justanexample.com"
The value "mail.justanexample.com" has to be replaced with the the host name you have chosen for your e-mail server. 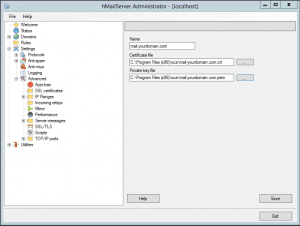 The basic setup of your e-mail server is now complete. It should be able to send and receive e-mails as soon as the DNS changes are active and you can now connect with any e-mail client like Outlook, Thunderbird or Apple Mail. Please use the following settings for your e-mail client. 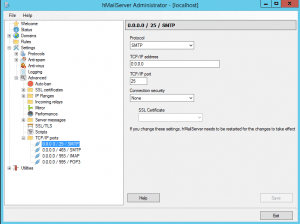 If you want to do some optimizations to the server security like transport encryption, spam checks and malware protection, please take a look at our second tutorial: E-mail server in Windows Server, part 2: Security. No space left on your HDD/SSD? Find big files and remove them! It does not matter if you do website hosting, provide a gameserver or use other services, if you have no space left on your HDD/SSD problems will occur. Your websites might not be reachable anymore, your players cannot connect to your gameserver or all other services will not start. To avoid this it is necessary to find big files on your system and to get rid of them. Today we will show you how to do this. Once finished, a list of the ten largest files will be displayed. Normally these files might be old downloads or big log files. Files that are no longer used can be deleted, of course. Before deleting log files you should check them for errors you can solve so that the issue will be permanently fixed. Once you downloaded and executed the software you can start scanning a partition. A list of all files will be displayed. Please make sure not to delete Windows system files 😉 .